Lady Liberty won the Girls "A" Division. 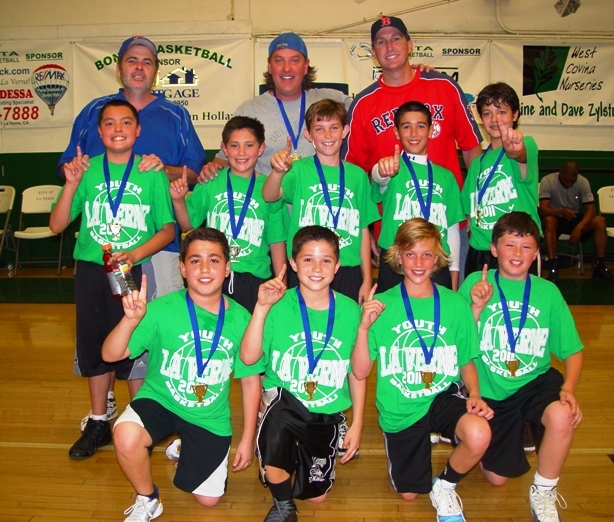 It was championship Saturday in La Verne as the top teams in the “A,” “B,” and “C” Divisions battled for bragging rights. There were several close games, keeping fans, friends and family on the edge of their seats for an entire afternoon of exciting basketball. The Lady Liberty kept the flame burning all season long in the Girls “A” Division. They never lost a game in sweeping both the regular season and post-season tournament, including a 21-19 nail-biter to claim the championship. In the Boys “A” Division, the Heat (LeBron’s new team) defeated the Cavaliers (LeBron’s old) team to win the city championship. 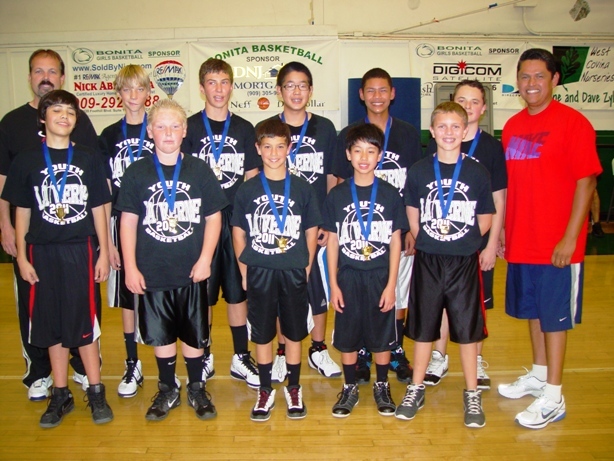 Actually, the new LeBron could be Russell Hernandez who had a great game in leading his team to victory. In a physical game, he got lots of support from Anthony Cascarano, Bradley Nastri, Russell Hernandez, Sean Dennis, Brandon Nguyen, Truman Miller, Blake Bode, Anthony Kim, Kurtis Redman, and Brogan White. Coaches were Robert Hernandez and Brian Bode. 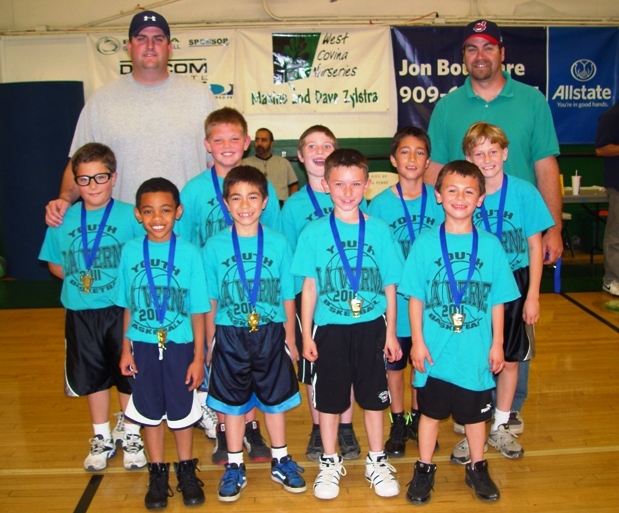 The Celtics took home the “B” Division crown, defeating the New York Knickerbockers, 31-20. It took a fourth-quarter spurt by the Celtics to pull out the victory. Meanwhile in a seesaw struggle, the Hornets prevailed, 29-20, over the Warriors to win the “C” Division title. Fans were also entertained by free-throw and three-point shooting contests during intermissions. Sharp-shooter Sammy Yagoda claimed the three-point title in the “B” Division while Dylan Franco won the same crown for the “A” Division. Too Much Heat: The Heat were on fire the entire game en route to winning the Boys "A" Division. In an Eastern Conference title match-up, the Boston Celtics defeated the Knicks. The Hornets came through in the clutch to defeat the Warriors. 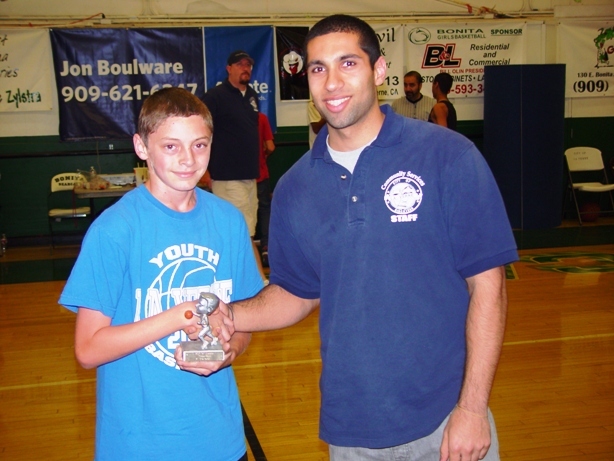 Sharp-shooting Sammy Yagoda won the the three-point shooting contest in the "B" division. 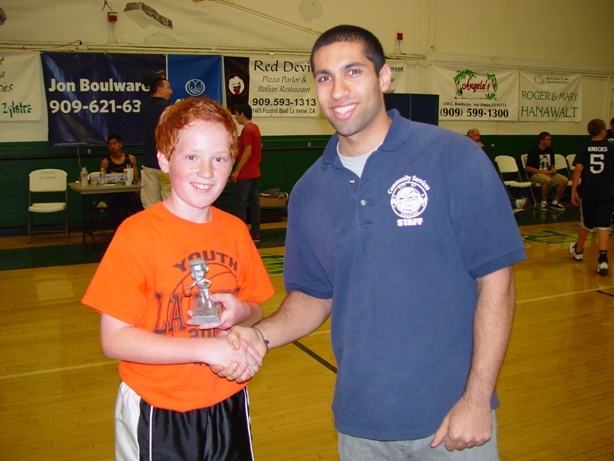 Dead-eye Dylan Franco won the three-point shoot-out in the "A" Division. 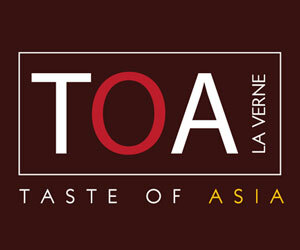 Find Great COUPONS on LaVerneOnline.com. Just go to the COUPON Button on the Home Page and click!